We’ll say it again: we in no way condone art theft, but we can’t help giving a little hat-tip to the more ballsy art thieves out there. 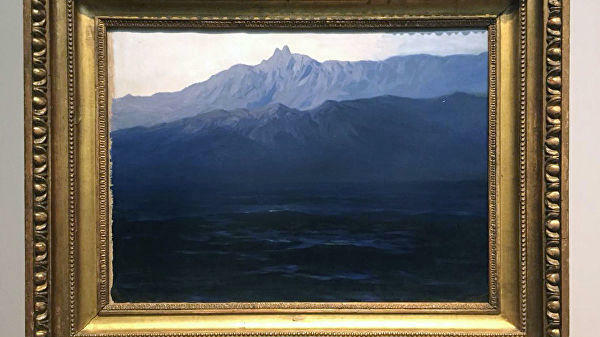 On Sunday, Moscow’s Tretyakov Gallery fell victim to perhaps the most direct, no-nonsense sort of pilferage, when a man braved a bustling crowd of art lovers and helped himself to a 1908 mountainscape by Russian artist Arkhip Kuindzhi, titled “Ai-Petri, Crimea.” The painting is valued at $182,000. 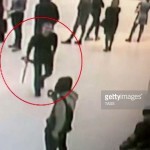 The heist was uncomplicated: the as-yet unidentified man approached the painting, which was not fitted with alarms but was covered by CCTV surveillance, he removed it, and calmly walked off with it. Bystanders barely reacted, and are said to have assumed he was a museum employee. The thief made good his escape, but was later betrayed by a police tip-off, and is currently in custody. He has denied culpability, and says he doesn’t remember where he was on Sunday. The painting has been returned to the museum. This entry was posted in New Post and tagged Ai-Petri Crimea, Arkhip Kuindzhi, art theft, Tretyakov Gallery. Bookmark the permalink.